What is the Standing Advisory Committee? 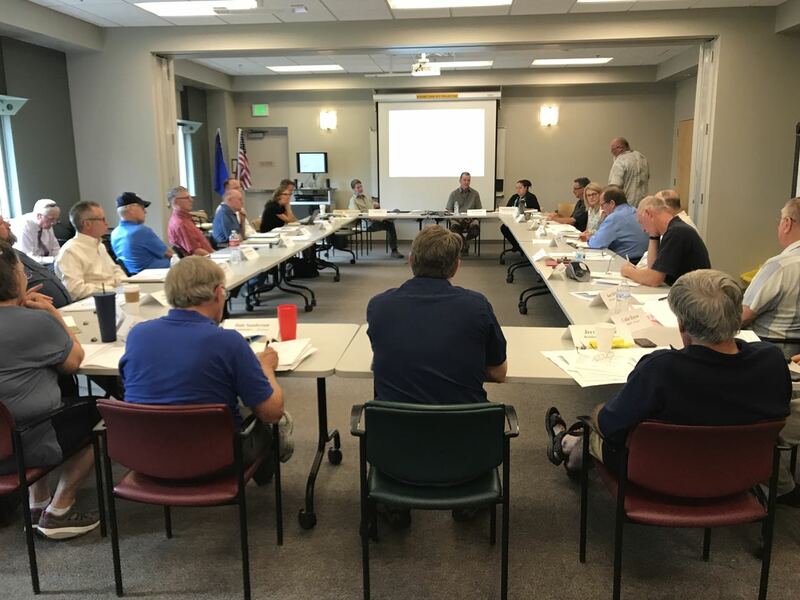 The Standing Advisory Committee (SAC) is an oversight committee made up of individuals representing all customer classes in the TMWA service area. The SAC reviews all rate proposals, budgets and other items as requested by TMWA’s Board of Directors. The committee then reports their recommendations to the Board. Why was the SAC formed? Because TMWA values customer input, the Board of Directors agreed to formalize a committee to represent customer issues and opinions. When was the SAC formed? The Board made the decision to implement the SAC in March 2005. The next few months were spent recruiting and selecting members and the first meeting was held on September 29, 2005. How was the SAC formed? TMWA sought customers to serve as members through bill inserts and news media. The response was tremendous; more than 50 people applied for eight customer positions. The members completed an application process and were selected by a subcommittee of the TMWA Board of Directors. The TMWA Board reviews all applications and makes the final appointments. When does the SAC meet? The SAC meets at TMWA’s Main Office located at 1355 Capital Blvd. in Reno. For a schedule of upcoming meeting dates, as well as complete minutes and agendas, visit our meeting center at tmwa.com/meeting. The meetings are normally held on the first Tuesday of the month beginning at 3 p.m. All meetings are open to the public and posted on TMWA’s website at least three days in advance. All TMWA customers are welcome to attend. If you would like to be added to the email notification list, please contact Sonia Folsom at sfolsom@tmwa.com. How do you become a member of the SAC? SAC includes eight representatives of TMWA’s customer classes and four appointments from key stakeholder groups in the region. Customer class representatives are appointed by TMWA’s Board of Directors. Additional members are appointed by their respective organizations. All members serve staggered two-year terms. The customer classes (and their respective number of representatives) are Irrigation (1), Multi-Family (1), Commercial (1), Senior Citizen (1), AtLarge (2), Residential (3), and Wholesale (1). Additional members are appointed by the Builders Association of Northern Nevada (1) and the Reno-Sparks Chamber of Commerce (1). Additional members are appointed by the Builders Association of Northern Nevada, the Northern Nevada Water Planning Commission and the Reno-Sparks Chamber of Commerce. TMWA customers are encouraged to apply for vacant seats at any time. Applications must be submitted in the form of a letter or email with the following information: applicant’s name, address and phone number, along with the type of customer (residential, commercial, multi-family, etc. ), an explanation of their interest in serving on the committee and any pertinent experience they might have. Please mail applications to Truckee Meadows Water Authority, P.O. Box 30013, Reno, NV 89520. Attention: Standing Advisory Committee, or email to info@tmwa.com, with the subject line: Standing Advisory Committee.